Scotts Flat Reservoir is a medium size lake that can be found just outside of Nevada City. 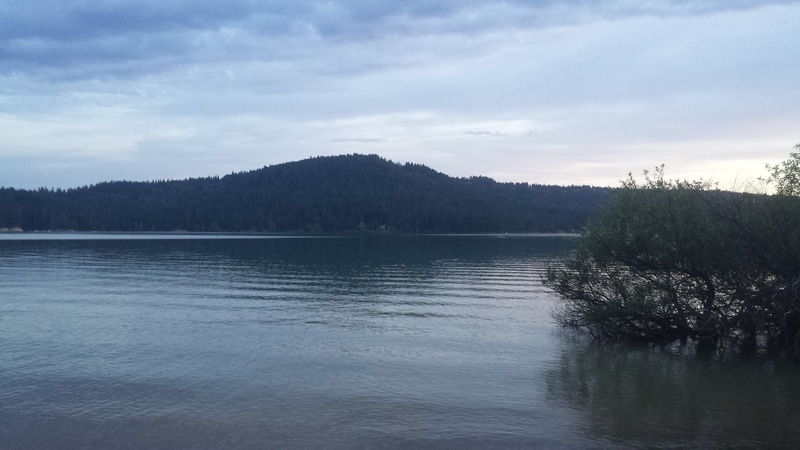 It is well-known for its smallmouth bass population and is a popular place to beat the heat in the summer. 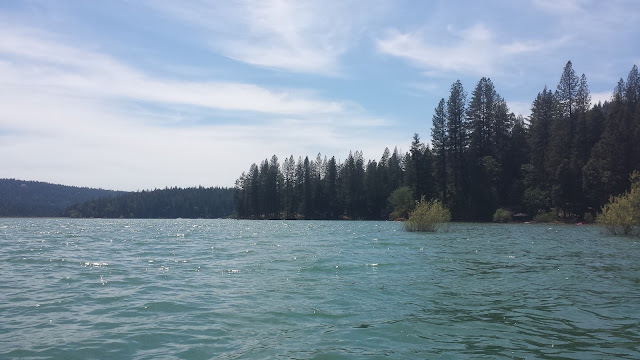 I've been wanting to check out Scotts Flat for a while now and with a free day off during the three Memorial Day weekend I packed my tube and rod and set out for the lake. What got me excited about fly fishing Scotts Lake was an article that I read on targeting the smallmouth there. To reiterate a saying common saying, "Smallmouth are pound for pound the most hardest fighting fish on the end of a line". Not only do they pull hard but they also jump at least once during the fight. 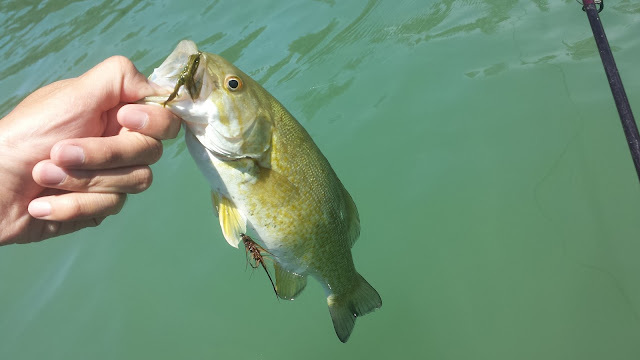 After driving up from Yuba City and paying my $10 day-use fee, I rigged my rod with two different colored buggers, inflated my tube, and began searching for my target. The water was very warm and the Memorial Day crowd was naturally there. A few casts in and I get my first of the day. I was hoping that this momentum would continue but I didn't get a single take for the next four hours. I covered a lot of water from the bushes that were sticking out to the trees that I could see. No one was home. I felt defeated and confused. Could it be that there were a bunch of people on the lake? Could it be the wind? Could it be where I was fishing? I took a break and napped on the shore for a few minutes. When I awoke most of the crowds were gone. It was time to try again. Overall my experience was decent. I'd like to return to Scotts Flat sometime and explore the different coves along the lake. The only thing keeping me away is the day-use fee. The day-use area is not very big and can get crowded really fast. There are also no bouys separating how far the boats can come to the bank; I watched as a big boat came all the way to bank while navigating through a crowded coved of swimmers and kayaks. All-in-all Scotts Flat is nice but not that nice. Always enjoy your reports Matthew. Next time you might try Lower Scotts Flat reservoir (aka Deer Creek reservoir). It a beautiful lake with ice cold water. There is a dirt road that leads to a small parking lot. It is a public lake. No access fee. I have fished once from a canoe. Saw lots of trout jumping as well as several large mouth under the water. Couldn't hook any though...Only a few kayaks on the lake usually. I'll have to try it. I've read a few things about it Lower Scotts but have yet to give it a try. It definitely looks more fly fishing/float tube friendly. Thanks for the recommendation Mike I'll head out there soon.